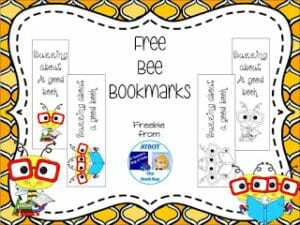 These fun bee bookmarks make reading fun. Give them out as prizes or just because. Click HERE to download this freebie. Hope you enjoy!